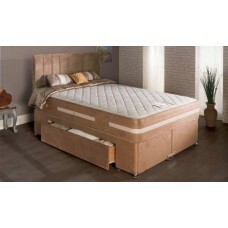 We use leading manufacturers to make the beds to your specifications. You can increase the length of a mattress by 3 inches at a time, this is due to the size of the springs. These beds are made to order, but delivery is still only approximately 7 working days. We can offer Orthopedic, Pocket Sprung, Gel and many other types of fillings. If you require any help deciding on which bed to go for, please call a member of our sales team on 01793 239496 Monday - Friday 9am - 9pm on Saturday & Sunday 9am - 6pm. 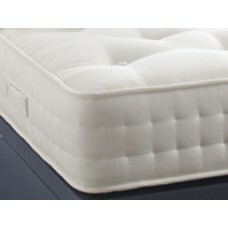 High Loft Quilted Mattress with a 13.5g spring unit.Key Features:Open coil spring unit ..
Memory Foam on Open coil spring unit. No turn mattress with Air Flow border with knitte..
25mm of memory foam on open coil spring. Health Guard knitted fabric. Air flow border, .. The Winslow offers great value as a medium tension mattress and has a 1200 pocket spring m..
An incredible bed for the price with all the benefits of a more expensive model a a cra.. The Winslow offers great value and comes in a medium tension and has a 1200 pocket spring mattr.. 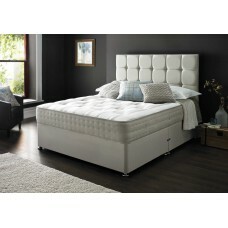 Deep Sleep Symphony is 1500 pocket hand upholstered mattress with luxury fillings such as W..